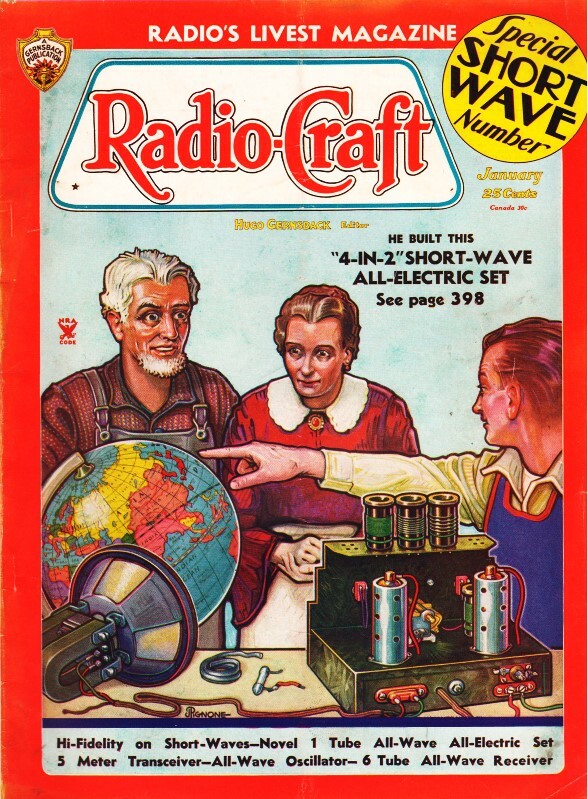 Many fine examples of restored vintage radios can be found on the Internet. 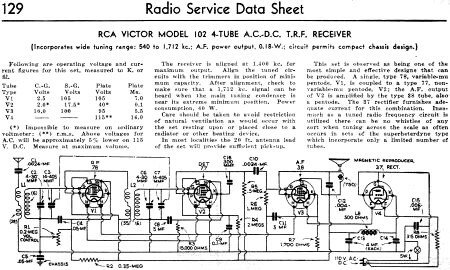 The RCA Victor Model 102 shown above appears on the RadioMuseum.com website. 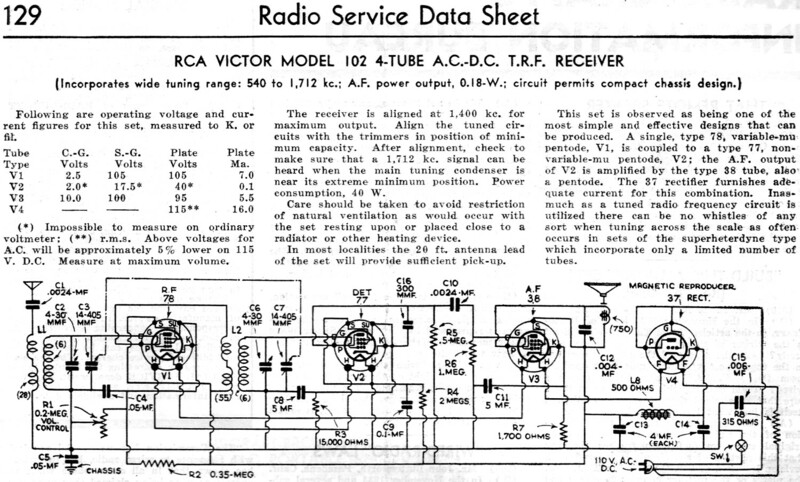 The receiver is aligned at 1,400 kc, for maximum output. Align the tuned cir­cuits with the trimmers in position of mini­mum capacity. After alignment. check to make sure that a 1.712 kc. signal can be heard when the main tuning condenser is near its extreme minimum position. Power consumption, 40 W.
Care should be taken to avoid restriction of natural ventilation as would occur with the set resting upon or placed close to a radiator or other heating device. In most localities the 20 ft. antenna lead of the set will provide sufficient pick-up.